Tough Scrape can take extremely heavy traffic for year after year. It absorbs and holds huge amounts of water on wet days yet dries quickly. Slip resistant PVC back increases stability. 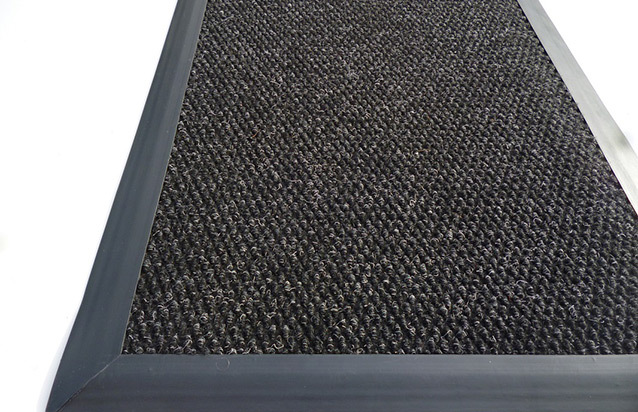 Tough Scrape is also a non-slip mat suitable for Shopping centres, public buildings, office blocks, banks, hospitals, airports and can be laid onto steep ramps and inclines. Cut to size and sold by per lineal metre. 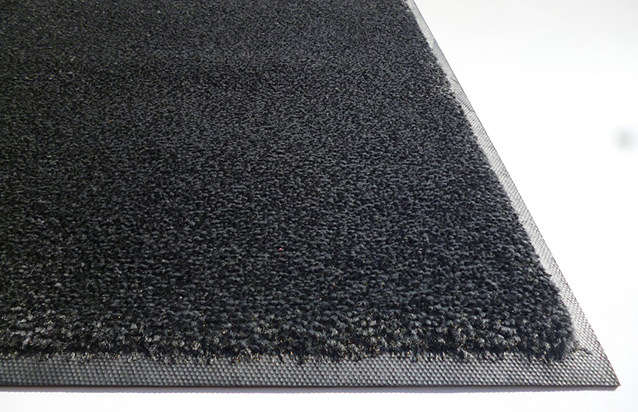 The Tough Scrape High Traffic Entrance Mat is made from heavy duty 59oz carpet fibre and is up to three times the weight of other mats, enabling it to handle heavy traffic for many years. With heavy duty edging (twice the weight of regular edging), trolleys ride up with ease but edge cracking and splitting is reduced. It also absorbs and holds huge amounts of water on wet days yet dries quickly. Tough Scrape has a slip resistant gripper backing which prevents movement and increases safety. We can custom make Tough Scrape to fit any shape, width, size… or recess. 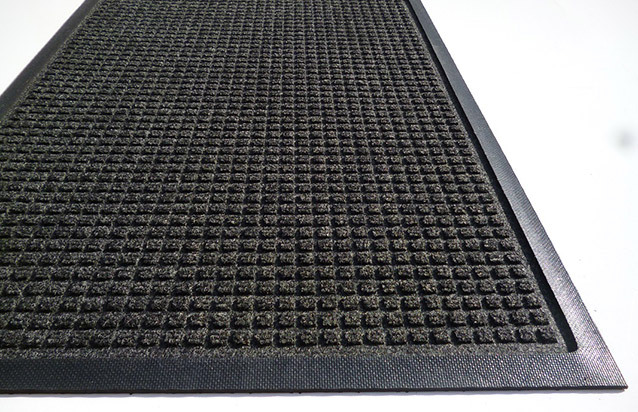 Available in Charcoal, Tough Scrape is an ideal choice for wherever entrance mats take a real beating.